A nice addition to any modern kitchen, this fully automatic 10-cup coffeemaker features 24-hour programmability–great for waking up to the aroma of freshly brewed coffee. The unit offers a 1- to 4-cup setting for brewing a smaller amount without compromising flavor, and its brew-pause function allows for pouring a cup before the brew cycle has completed. The included 10-cup double-wall insulated thermal carafe comes with a generous stay-cool handle and a dripless pour spout for comfortable, drip-free serving. Providing added convenience, the coffeemaker automatically shuts off at the end of the brewing cycle, and its 60-second reset “remembers” where it was in the brewing process and settings. Accessories include a charcoal water filter, a gold-tone filter, and a user manual. With its classic design and stainless accents, the stylish coffeemaker measures approximately 8 by 9 by 13 inches and carries a three-year limited warranty. You’ll love the way the Cuisinart Classic 10-cup programmable coffeemaker looks on the counter, as its brewing 10-Cups of fabulous coffee. The Cuisinart Classis Thermal 10-cup programmable coffeemaker is a statement about how serious you are about your coffee ‒ and your kitchen. Enjoy the full programmability, extreme ease of use, double-wall thermal carafe, and great tasting coffee. Coffee is 98% water. Often overlooked, the quality of the water is as important as the quality of the coffee. A good rule of thumb is that if your water doesn’t taste good from the tap, it won’t taste any better in your coffee. 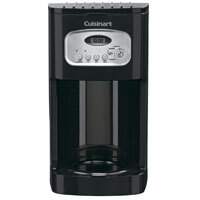 That’s why Cuisinart has added a water filter to the Cuisinart Classic Thermal 10-cup programmable coffeemaker. The charcoal water filter removes chlorine, bad tastes and odors, for the purest cup of coffee every time. Add the amount of ground coffee that corresponds to the number of cups being brewed. Use 1 tablespoon of ground coffee per cup, but use more or less to suit your taste. 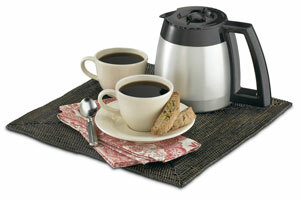 Note: the maximum capacity for ground coffee is 15 tablespoons for the 10-Cup (5 ounce cups) coffeemaker. Exceeding this amount may cause overflow if the coffee is too finely ground. DCC-1150 Base LCD & Controls Reservoir Cover: Flips back for easy filling. Water Reservoir: Open the cover by lifting it up. Pour the desired amount of water in the reservoir using step water level indicator located at the rear of the reservoir. Showerhead: Distributes water evenly over coffee, reducing temperature loss as water passes through grounds. Water Filter: Charcoal water filter eliminates chlorine, calcium and bad tastes or odors from tap water. Cuisinart recommends changing the water filter every 60 days or 60 uses ‒ or more often if you have hard water. Filter Basket: Holds a #4 paper filter or a permanent filter. LCD Digital Clock: Displays the time of day and set time for automatic functions. Function Knob: Used to initiate programming of automatic functions ‒ Auto On, Program, Clock and Brew. The Auto On feature is used to program the start time of the brew cycle. The Auto On can be set for any time, day or night. The PM indicator is displayed on the LCD for nighttime program times. Note: This coffeemaker shuts off automatically after brewing is complete. 1- to 4-Cup Setting: For brewing smaller pots of coffee. It provides double heating of the water, so coffee is piping hot. 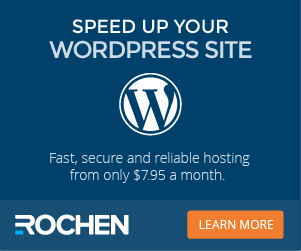 Clean Setting: Tells you when it’s time to clean your coffeemaker. Remove built-up calcification from the water reservoir, to help extend the life of your coffeemaker. Brew Pause: Stops flow of coffee from basket when carafe is removed (30 seconds max) from the heater plate, so a cup can be poured in mid-brew. Since the flavor extraction rate varies during the brew cycle, we recommend allowing the brewing cycle to finish before pouring the coffee. The coffee brewed at the beginning of the cycle has a flavor profile which is very different from the flavor at the end of the cycle. Once the coffee has finished brewing, stir it before serving to blend the flavors. The coffee at the bottom of the carafe will be somewhat stronger than the coffee at the top. Thermal Carafe with Hands-Free Lid: The easy pour no drip, double wall insulated 10-cup stainless thermal carafe with an ergonomic handle. The brew-through, pour-through lid allows coffee to drip from the coffeemaker through the closed lid. When brewing is complete, the lid seals itself so air stays out and the coffee freshness and temperature are preserved. No need to turn or adjust the lid before pouring. Note: Use caution, the bottom of the thermal is hot to touch for several minutes after brewing. Heating Plate: Scratch resistant with black, nonstick coating. Ready Tone: Signals the end of the brew cycle with five beeps (coffee will continue to stream from the filter for a few seconds after the tone). Cord Storage Power Loss Back-up System: One-minute protection in case of power fails, breaker trips, or unit is unplugged. It holds all programmed information, including the time of day, auto on time and auto off time. There’s an easy way to make the water hotter I first used this coffee maker at my parents’ house and was impressed with the flavor. For a drip coffee maker, this brews excellent coffee (I used to use a French press daily). Buy It I read every review anybody ever wrote for a coffee maker. Conclusion: Somebody doesn’t like something about every coffee maker that’s ever been made.